Book of Bones features ten record-breaking animal bones, and it's set up so that we are introduced to the bones first through a sort of "x-ray" image and have the opportunity to guess which animal they might belong to. Flip the page and we see glorious full-page spreads revealing the answers! Every animal is like this, with "x-ray" images followed by full-page spreads so that readers can learn accurately comprehend and apply what they are experiencing. This book, no matter how fantastic it looks on the computer, is infinitely more amazing in-person. It truly needs to be experienced to be fully appreciated. 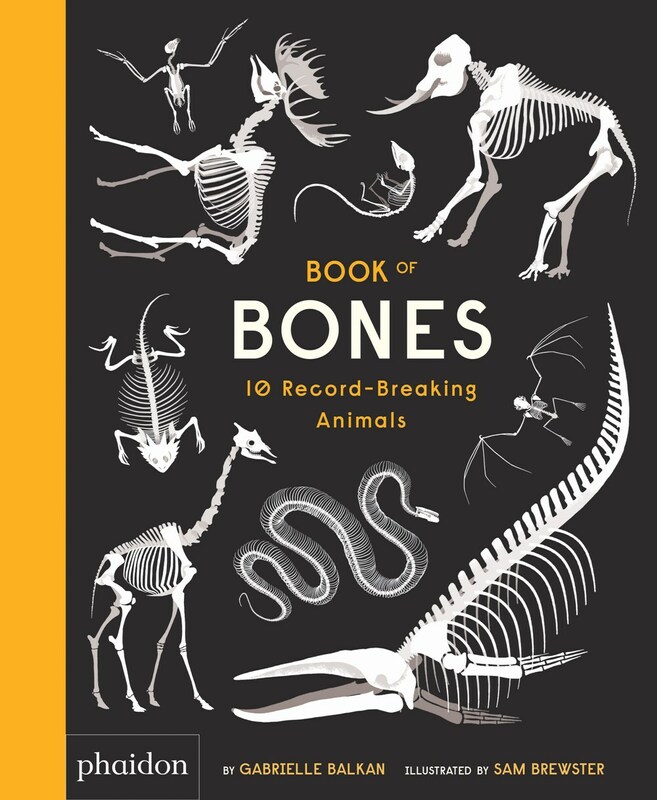 Yes, it has eye-catching illustrations, and yes it's chock-full of fascinating information on bones, but what makes it so extra cool is the tactile aspect. 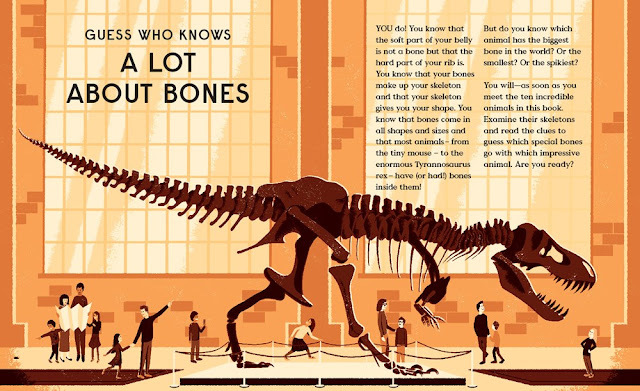 Every other spread has a touch-and-feel finish that helps readers understand exactly where the bones are in each animal. So while readers see the bones in the first "x-ray" image, they can then feel them on the next spread and begin to understand the importance of the bone placement for evolutionary success. It's pretty incredible and definitely a good time. 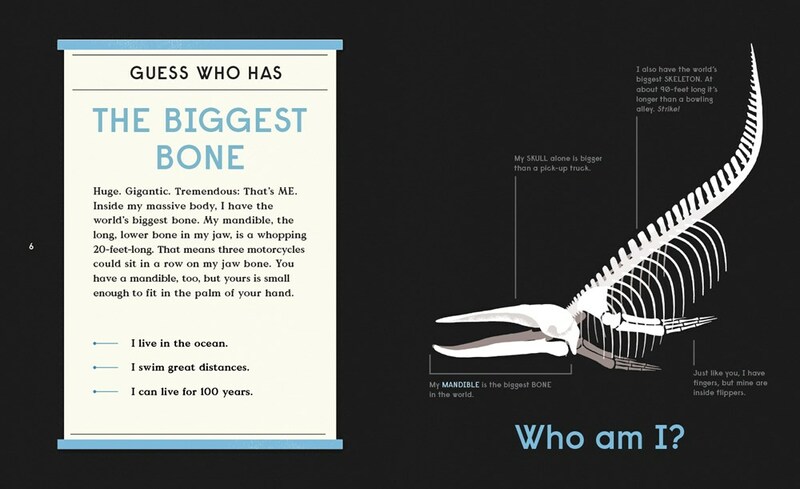 Book of Bones:10 Record-Breaking Animals published from Phaidon Press last Fall.